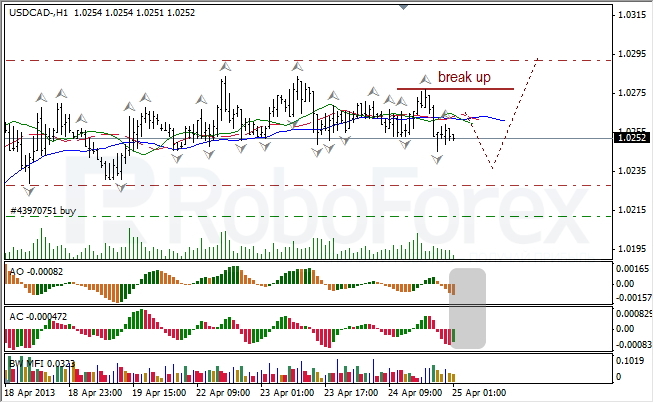 At the H4 chart of the USD/CAD currency pair, the Alligator is slowing down and closing its mouth. The indicators are in the red zone; there are Squat bars on the MFI; I’ve moved a protective stop closer to Take Profit. 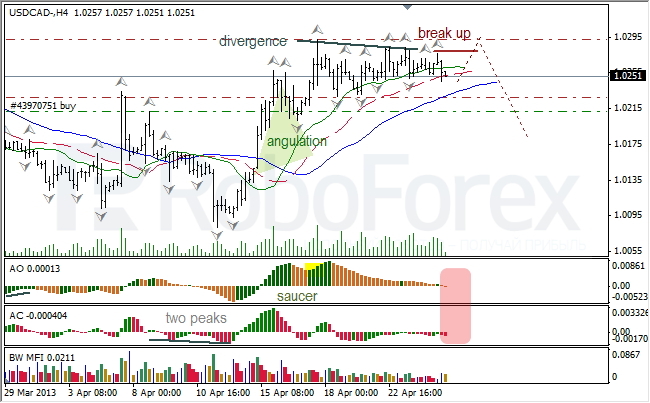 At the H1 chart of the USD/CAD currency pair, the Alligator is still sleeping. The indicators are in the grey zone; there is a Fade bar on the MFI; the price is forming a bearish fractal. I’m keeping my buy order opened, `cause I think the pair may reach Take Profit. 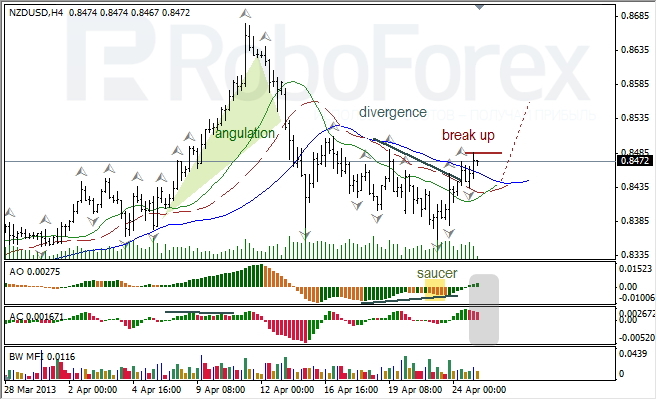 At the H4 chart of the NZD/USD currency pair, the Alligator is slowly making a reverse upwards. The price is forming a fractal above the Alligator’s mouth. AO and AC indicators are in the grey zone; there is a Squat bar on the MFI. After the price completes a bearish fractal, I may open a new buy order. At the H1 chart of the NZD/USD currency pair, the Alligator is moving upwards slowly. 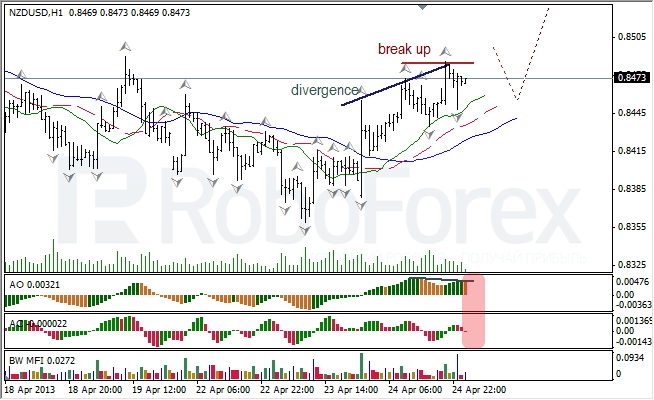 There is a divergence with AO; the indicators are in the red zone. After the price completes a bearish fractal, I may open a new buy order from the Alligator’s teeth.